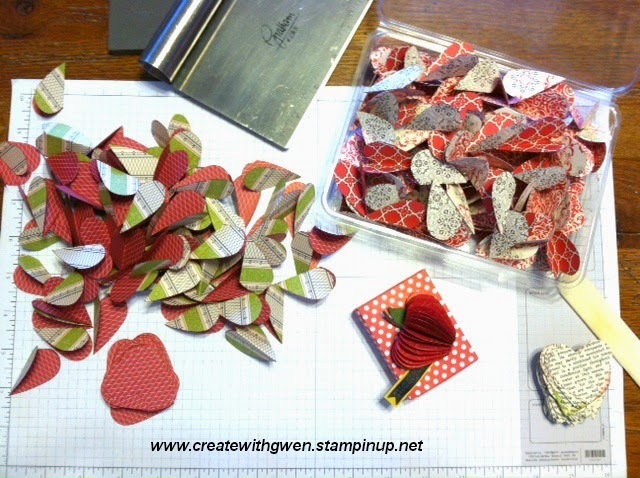 Create with Gwen: Teacher's Back to School Gifts! Teacher's Back to School Gifts! Saw this little cutie on Pinterest, do I created many, many, many of them for teachers, and school office personal in our area! Perfect "thank you" goodie for Back to School Night! 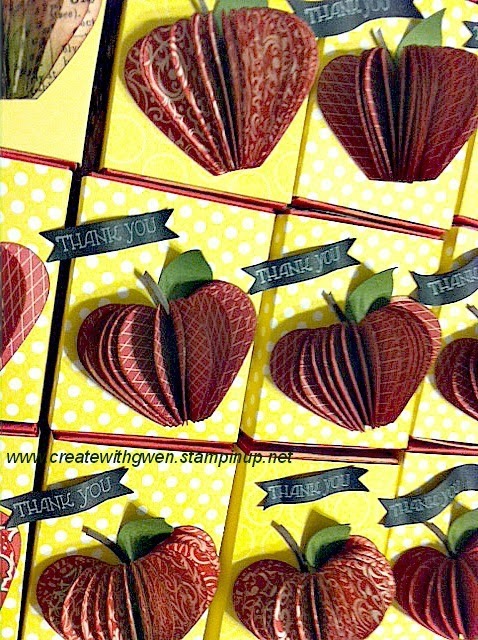 The apple was made with Stampin' Up! 's Sweetheart punch #133786 and cutting off a bit from the bottom. Punch about 16-18, fold in half and adhere together! 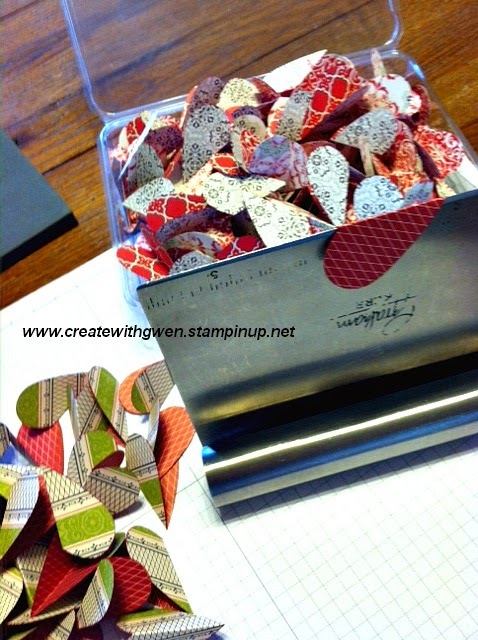 A little box can be created with the Envelope Punch Board #133774, I however, used the retired Match Box Die, which I know a lot of you have...and an easy way to create the score line and fold the hearts in 1/2, is a kitchen utensil! Vegetable scrap of course! 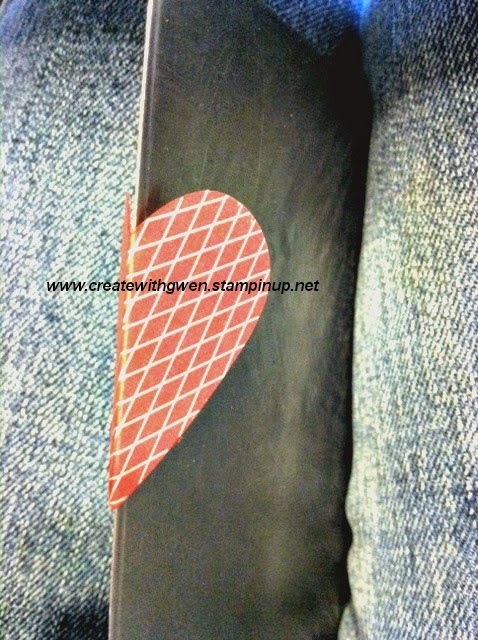 Also a great way to use up all your retired Designer Series Paper! 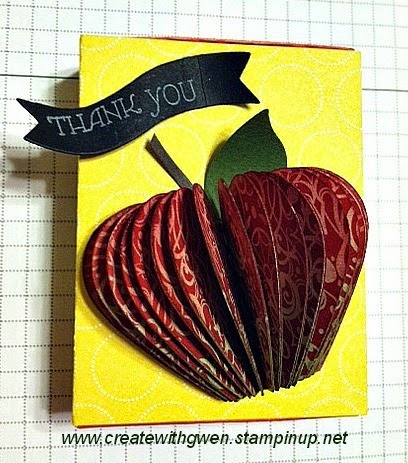 Perfect "thank you" goodie for anytime you'd like to Thank a Teacher!